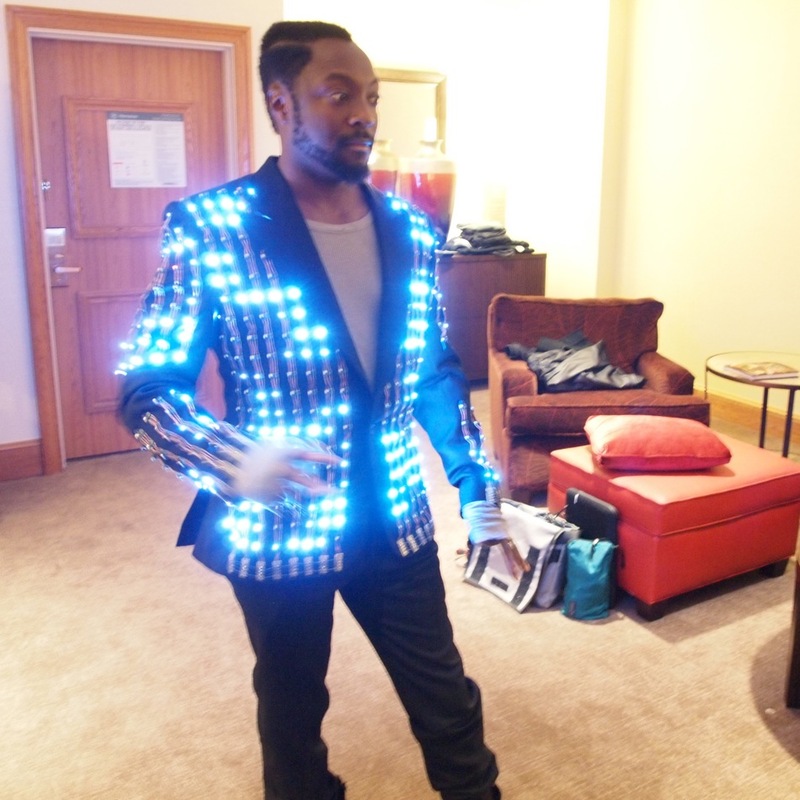 During the current world tour of the Black Eyed Peas lead singer and front man Will.I.Am is sporting the most advanced jacket ever to come from Saville row: a hand tailored jacket made by Hardy Amis’ master taylor Jan Cicmanec and completely covered in our in house developed LED video system. 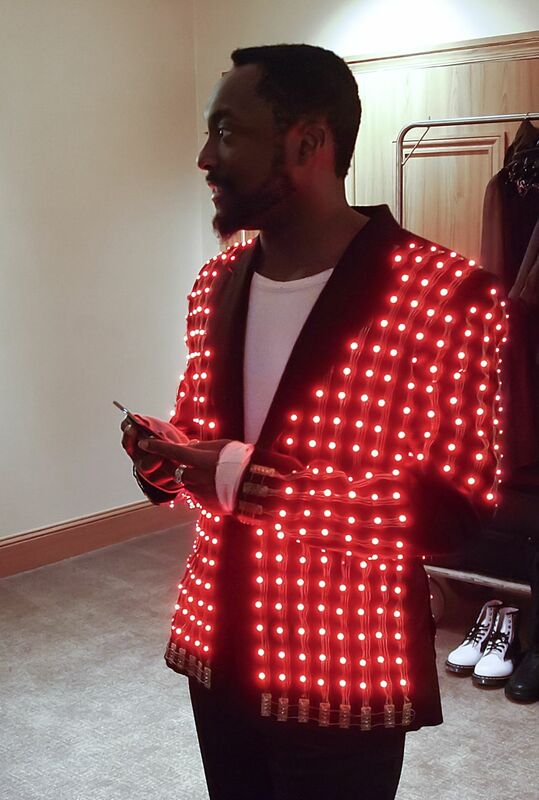 The jacket is capable of displaying animations at video speed from a built in SD card. This entry was posted on Monday, June 27th, 2011 at 6:00 pm. It is filed under ALL PROJECTS, FASHION, MUSIC, VIDEO. You can follow any responses to this entry through the RSS 2.0 feed.